For the 2017 updated article click here. 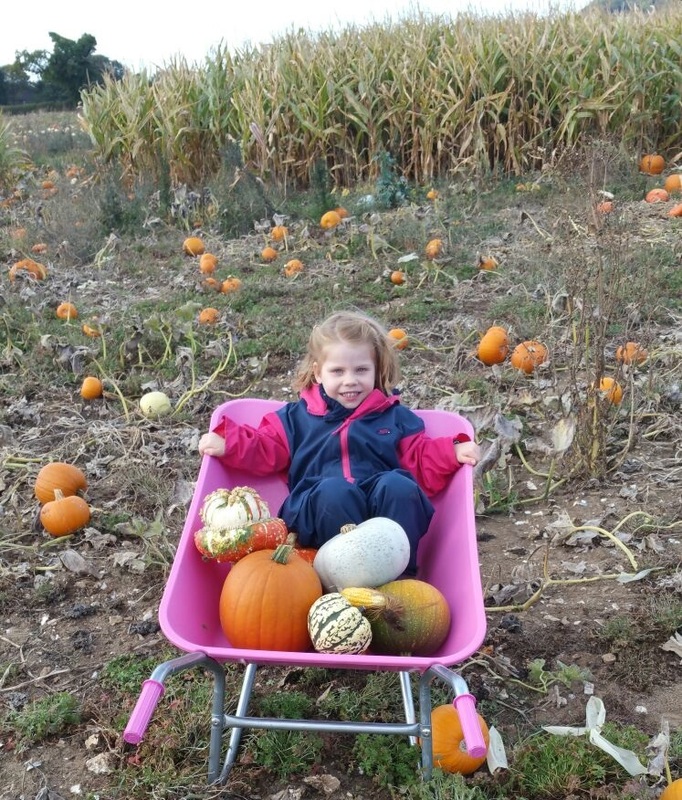 I was truly delighted to be gathering pumpkins at ‘Pumpkin Moon’ on Saturday and left with a wheelbarrow full of all different types of pumpkins – and my very happy toddler. Pumpkin Moon is situated on Old Chatham Road, Sandling and has a field dedicated to 15 varieties of pumpkins. With plenty of parking we pulled up next to the pumpkin field and donned our wellies. 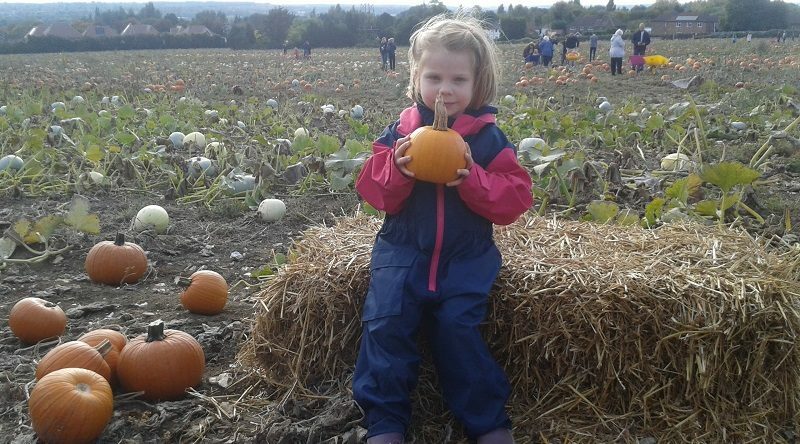 I was pleased to find this was an experience that didn’t just offer a pumpkin in a field to go and pick up – a ‘maise maze’, halloween photo opportunities, colourful wheel barrows and information on pumpkin varieties was all on offer. There was also a refreshments van and pop up information stall on our local wildlife centre, Tyland Barn and I am assured there will be face painting on offer from 20th October too. 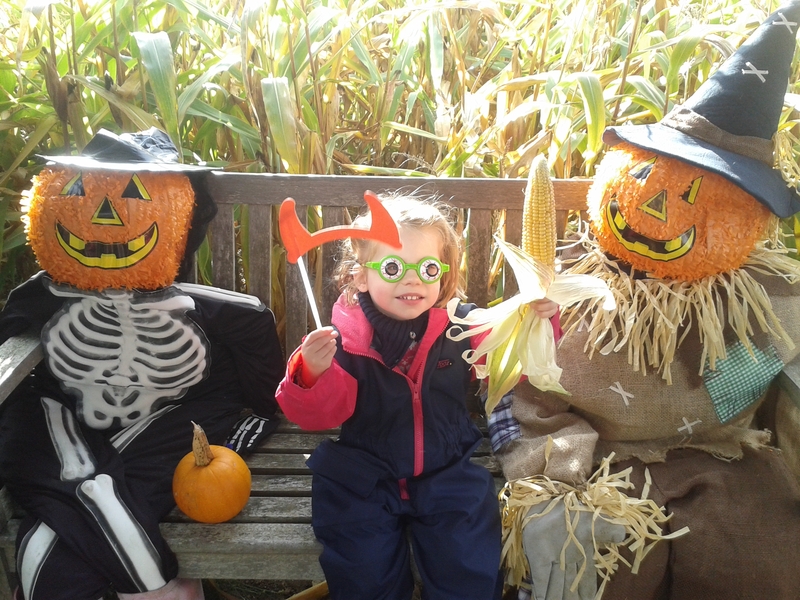 My toddler and I had a lot of fun in the ‘maise maze’ (thank goodness this was not too taxing) and finding the ‘pumpkin people’ reclining on a bench in the centre of the maze (with various halloween masks and glasses to wear) gave a great photo opportunity and fun for all. 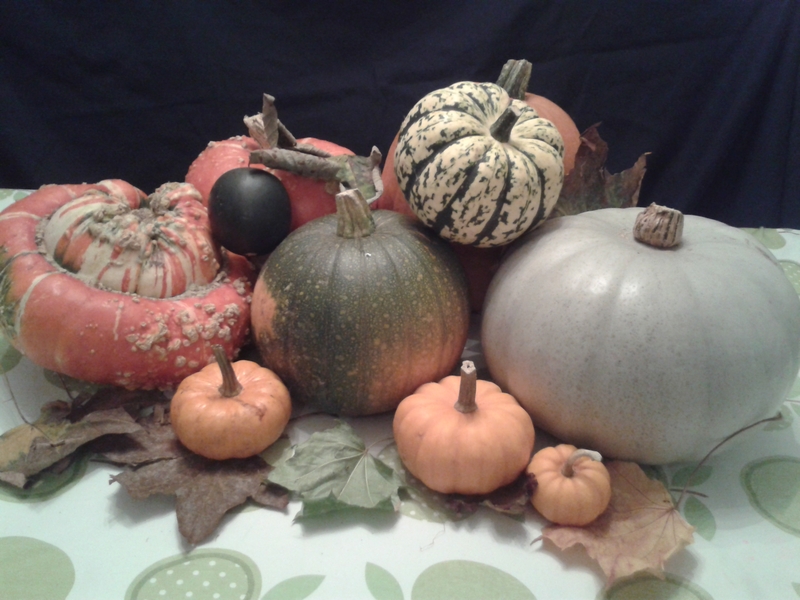 The pumpkins themselves grew in all shapes and sizes from the large orange ‘Champion’, and ‘Tom Fox’, to the ‘Golden Nugget’, ‘Queensland Blue’, ‘Gem Squash’, ‘Baby Bear’ and ‘Gourds’. 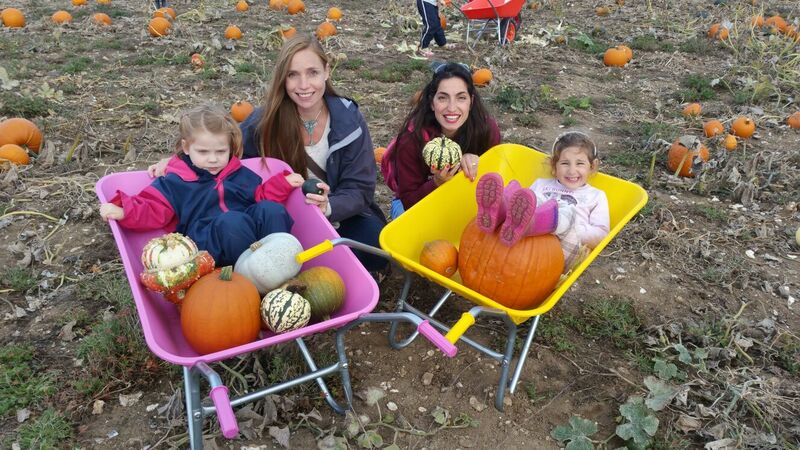 Warty pumpkins were a plenty and the baby pumpkins seemed magnetic for my toddler. With prices from £1 this was a good couple of hours spent on a glorious autumnal day enjoying the experience, countryside and something different to do with your children. Pumpkin Moon is open from 10am to 4pm from Thursday 20th October, throughout the half term holidays. They close on Sunday 30th October. Prices of pumpkins start from £1 (though most will be £2-£3) and there is ample field parking and entrance is free. By going to Pumpkin Moon you will also be helping raise money for charity as 10% of all their profits will be given to the British Heart Foundation and Heart of Kent Hospice. If you fancy this interactive experience with your children this October then you will find Pumpkin Moon on the Old Chatham Road, Sandling, Maidstone, Kent, ME14 3BE. Follow signs for Tyland Barn and then the signs for Pumpkin Moon. Tel: 07922 796987, Email: info@pumpkinmoonpumpkins.com or visit their website: www.pumpkinmoon.uk which has tips and advice for pumpkin carving and painting along with a competition for the best decorated pumpkin receiving a £20 Amazon voucher!